Today E.On became the latest domestic energy supplier to increase their standard prices. 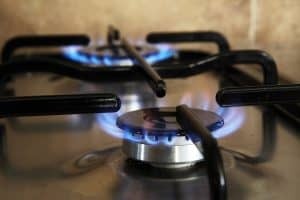 This move follows a trend started back in April when British Gas announced a similar move and since then SSE, Scottish Power, EdF and npower have all taken action to increase prices. It’s probably best to start with the why? International oil prices have been on the move upwards since around the summer of 2017. First natural gas followed the trend and then electricity rapidly got dragged along to the party! Additionally many of the energy suppliers have cited ongoing costs arising from regulatory changes as partly to blame for the increases. The next logical question is therefore, so what? If you find yourself on a standard variable tariff with E.On, then expect the price increase to take effect from mid August. If you’re with any other supplier on their variable tariff, then it’s likely that your prices have already increased. As ever, shopping around will give you better options. As we’ve stated before, we believe in making sure on at least annual basis that you’re on the right energy tariff at home and positively encourage customers to avoid standard tariffs wherever possible.